Your Mother always told you to eat your greens! Now it's easier than ever to make Mom proud because Trader Joe's now carries Kale Chips! They carry all the yummy nutrients found in kale along with the crunch of a chip, but for much less calories. 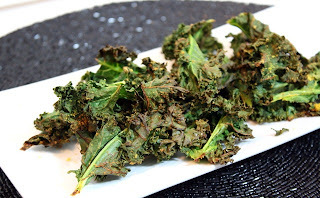 If you prefer to make your own kale chips, we still think its best you stock up with a few bags of Trader Joe's Kale Chips just in case you find yourself short on time. Kale is green, green means go, so go get yourself a bag of this new item today! Get nutrients for Kale Chips. Yummmmmm..this l@@ks delicious! 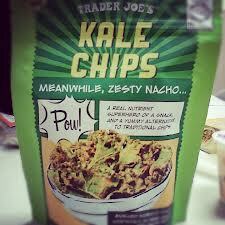 I'd definitely give KALE CHIPS a try:P!